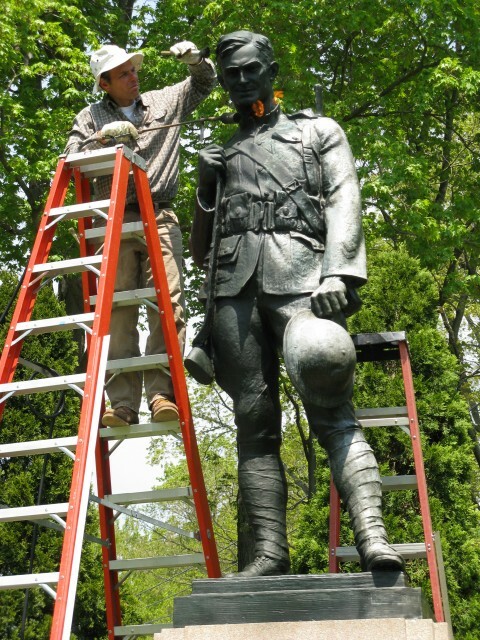 7.1.1 National Iwo Jima Memorial, Joseph Petrovics, New Britain, CT.
7.1.2 Horace Wells Monument, 1874, Launt Thompson, Bushnell Park, Hartford, CT.
7.1.3 Conversations, Christian Petersen, 1947-1952, University Museums, Iowa State University, Ames. 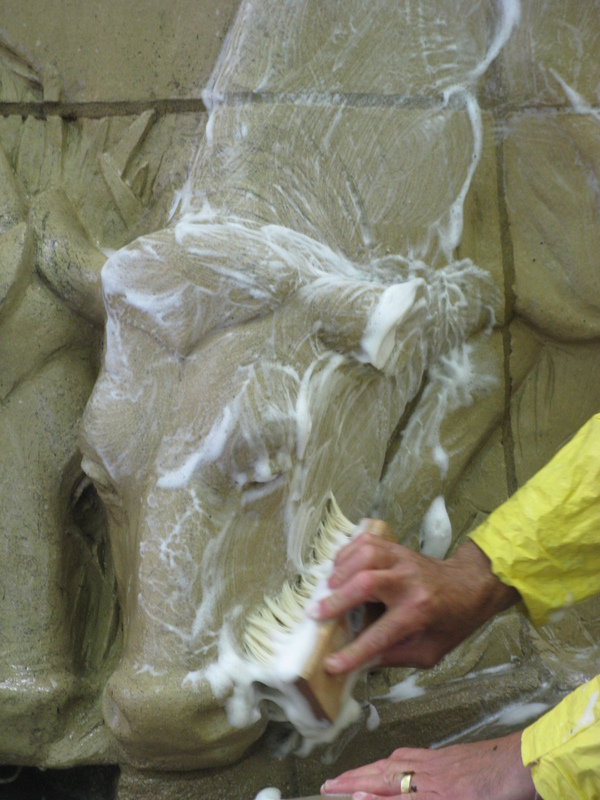 Cleaning limestone sculpture groups of biological growth. 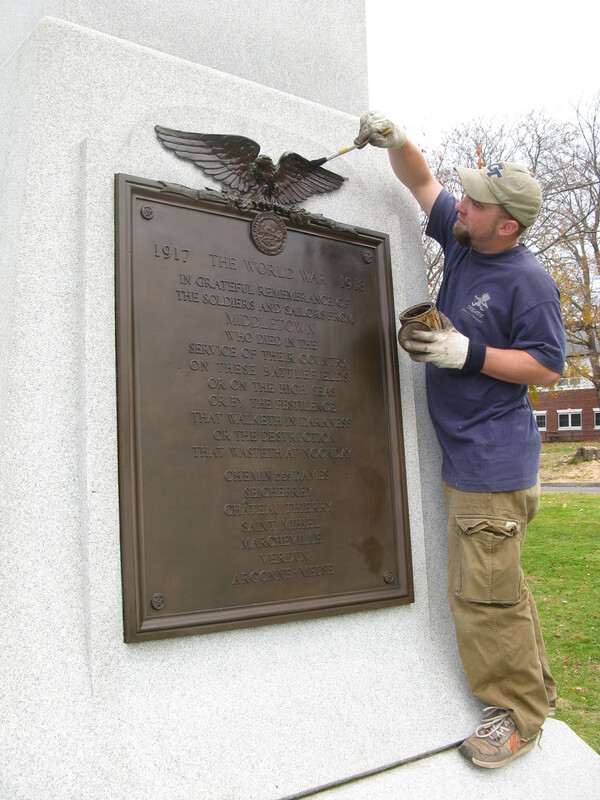 7.1.4 Plaque, Middletown, CT. conservation maintenance of the bronze relief. 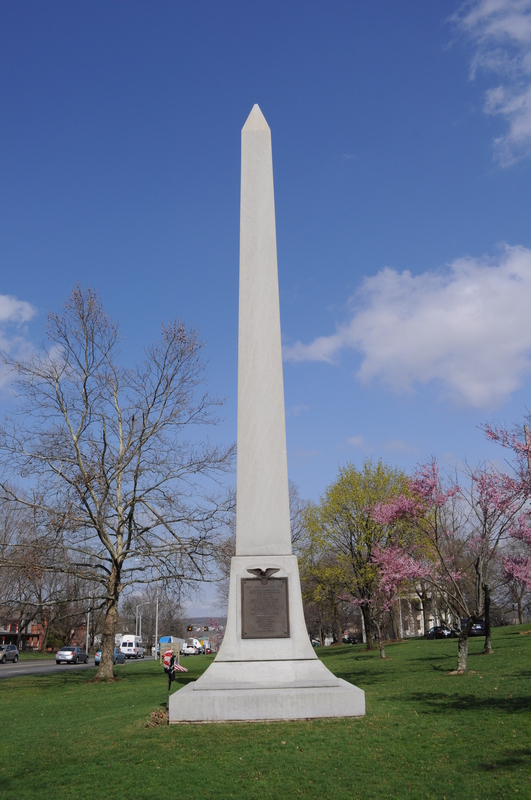 7.1.5 WWI Monument Middletown, CT. Overview of granite obelisk and bronze plaque. 7.1.6 Columbia, 19th Century Zinc, Lewis Walpole Library, Yale University. 7.1.7 History of Dairying, Christian Petersen, 1936, University Museums,Iowa State University, Ames. Cleaning terra cotta cow during conservation treatment. 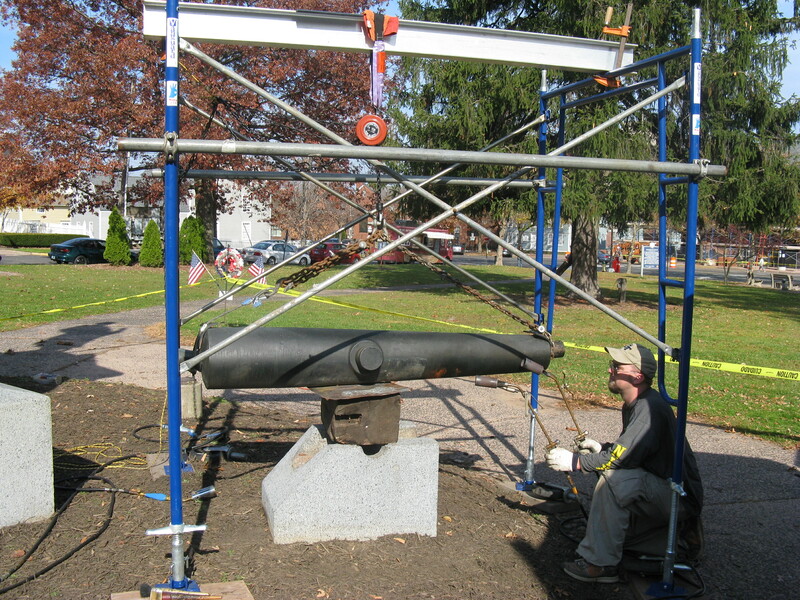 7.1.8 Soldiers Monument, Melzar Mosman, 1874 Middletown, CT. Overview of cannon during cyclic maintenance. 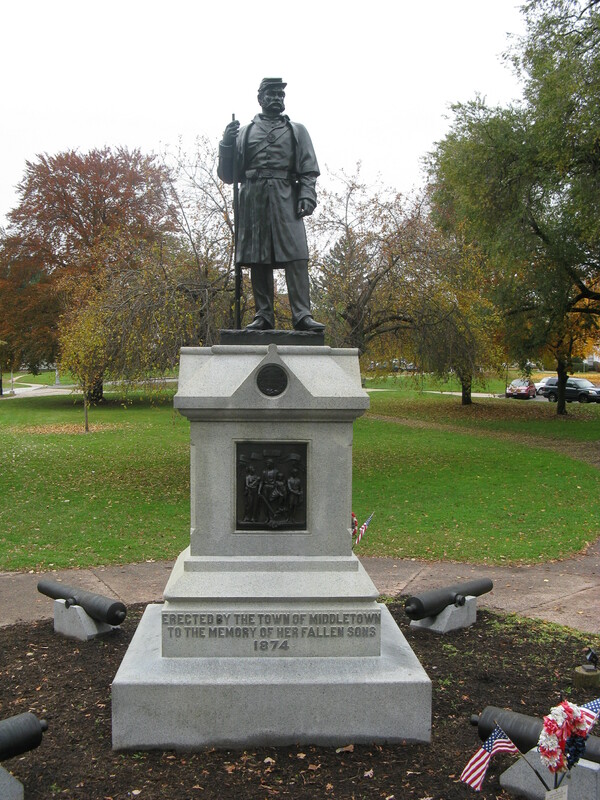 7.1.9 Soldiers Monument, Melzar Mosman, 1874 Middletown, CT. Overview of monument after treatment and cyclic maintenance. 7.1.10 Minute Man, Daniel. 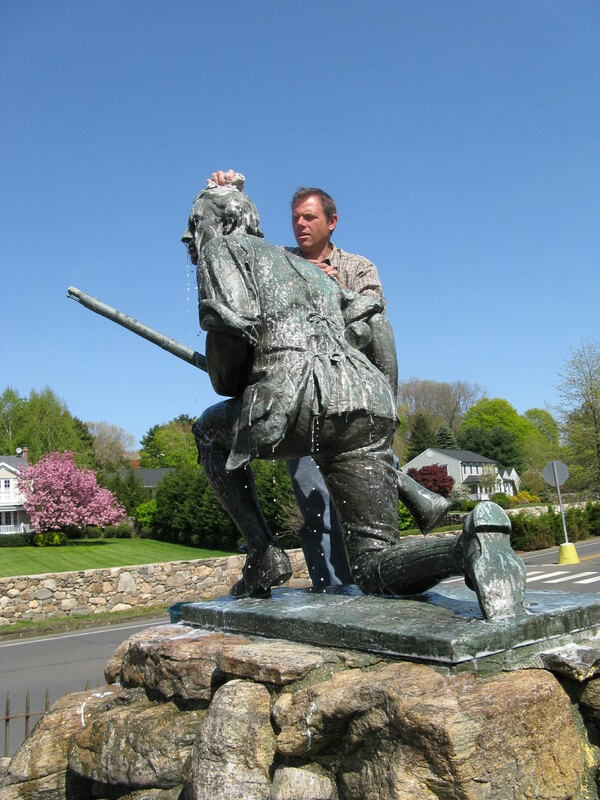 A. Webster, 1910, Westport, CT. Washing sculpture during cyclical maintenance. 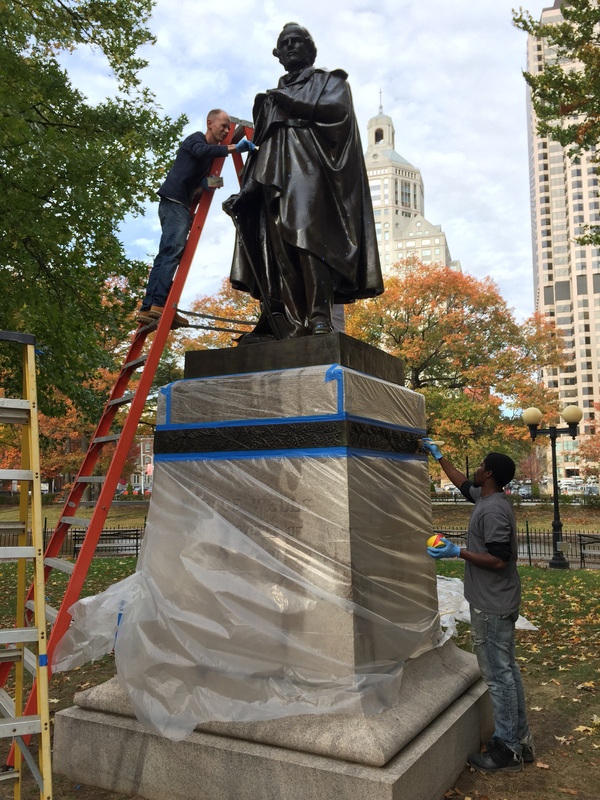 Ongoing care of recently conserved sculpture and historic objects is an important component of the overall treatment plan, ensuring continued beauty and stability. Conserve ART provides a conservation treatment report after the completion of a project. Included in the report is a maintenance plan specifically tailored for the object and site conditions. Cyclic maintenance includes cleaning, minor repairs, coating replenishment, and pointing repairs. 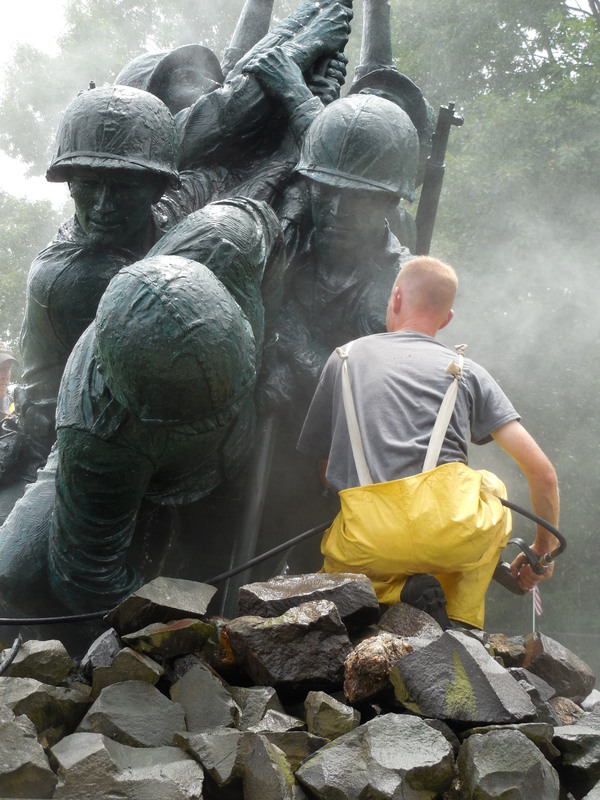 Treatment materials and methodologies emphasize minimal impact to the object sustained from the periodic care, particularly when planning and implementing cleaning. The onsite visit also provides opportunity to assess past repairs, monitor structural stability, consider changing site conditions and evaluate the effectiveness of the maintenance plan itself. 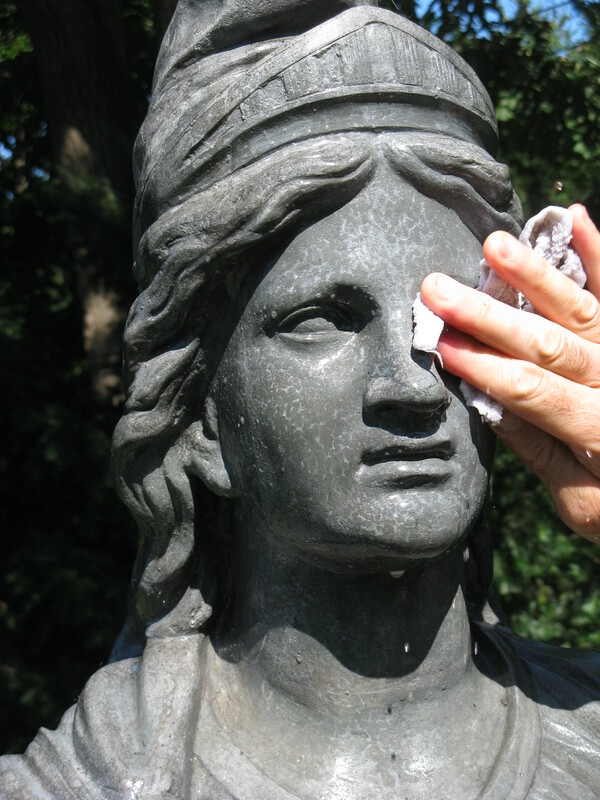 For clients with skilled staff members, hands-on, maintenance training seminars are provided to give individuals the necessary field experience to care for their sculptures and historic objects.